The Kestrel 2500 takes the great features of the Kestrel 2000 and adds in a pressure sensor. A three-hour pressure trend indicator helps you predict fish and wildlife activity and know when the weather' s going to turn nasty. With its easy-to-use digital pressure altimeter , you have the perfect instrument for any outdoor activity. Looking for the price of Kestrel Instrument Latest quality cheap? 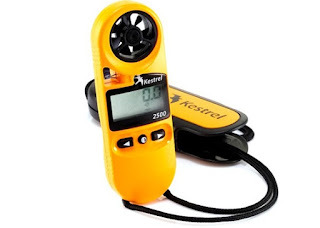 We are suppliers of Kestrel 2500 -- Pocket Wind-Meter, Contact Telp / SMS: 0812 8380 4273. Darmatek Distributor of various instruments for measuring instruments, security, electricity, Safety, laboratory, tester, measurement, survey and other tools. With the office at the address Jl. Moh. Kahfi I, Jagakarsa South Jakarta.